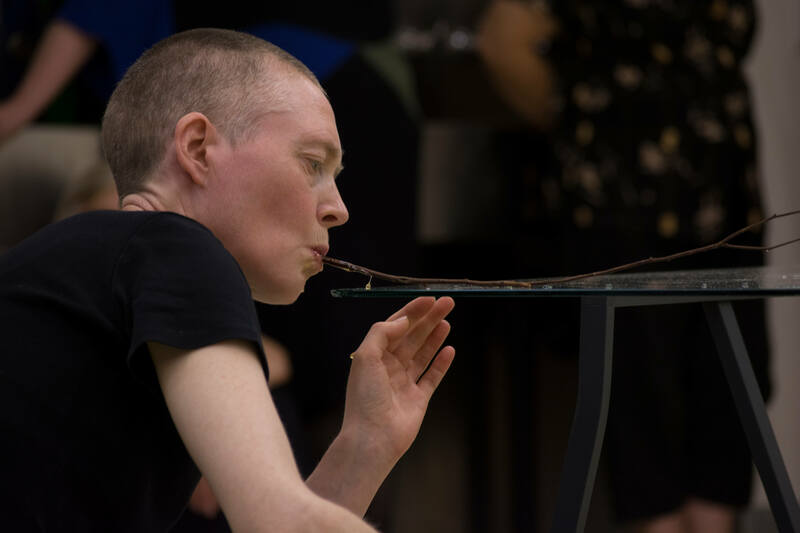 Sandra Johnston is a Northern Irish artist working internationally since 1992 in the areas of site-responsive performance actions, installations and drawing. Since 2001 she has developed an extensive body of practice-led research exploring creativity in relation to the aftermath of social trauma, in particular issues of ‘contested space’ and empathetic communication. The artworks are experiential in nature, based on processes of improvisation and assembled using mainly found objects. In some respects the actions exist as propositions, whereby, audiences directly observe gradual accumulations of images and the emergence of latent relationships. Gestures are offered as ‘provisional behaviours’, existing like relics salvaged from a forgotten moment – flawed, inexact and silent. Within these situations, the artist’s body is located as an entity arrested in its sparseness and mutability. Johnston has held several University teaching and research posts including an AHRC Research Fellowship at the University Of Ulster in Belfast (2001-2005), investigating issues of ‘Trauma of Place’. In 2007 she was the ‘Ré Soupault’ Guest Professor at the Bauhaus University, Weimar. In 2013 she published her PhD research entitled, Beyond Reasonable Doubt: An Investigation Into Concepts of Doubt, Risk and Testimony Explored Through Consideration of Performance Art Processes In Relation to Systems of Legal Justice, with LIT, Germany. Currently, she is a Senior lecturer in Fine Art at Northumbria University and Course leader of the MFA course. Additionally, she has been a co-founder and committee member of various artist-run collectives in Belfast, namely: CATALYST ARTS, BBEYOND, and AGENCY.